Just months after disclosing a breach that compromised the passwords for a half billion of its users, Yahoo now says a separate incident has jeopardized data from at least a billion more user accounts. The company also warned attackers have figured out a way to log into targeted Yahoo accounts without even supplying the victim’s password. 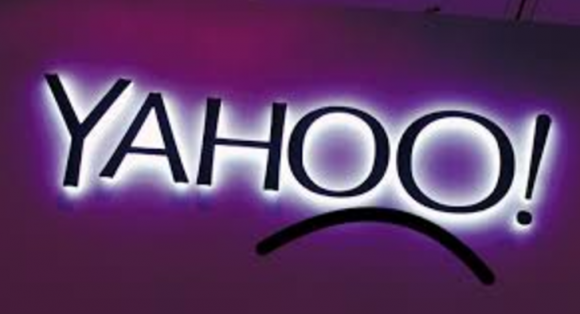 On September 22, Yahoo warned that a security breach of its networks affected more than 500 million account holders. Today, the company said it uncovered a separate incident in which thieves stole data on more than a billion user accounts, and that the newly disclosed breach is separate from the incident disclosed in September. (Update, Dec. 15, 2016: Yahoo users looking for more advice on what to do next should check out the Q&A just published here, My Yahoo Account Was Hacked! Now What?). In addition, Lord said the attackers had worked out a way to forge “cookies” that Yahoo places on user computers when they log in. Authentication cookies are text files that contain information about the user’s session with Yahoo. Cookies can contain a great deal of information about the user, such as whether that the user has already authenticated to the company’s servers. The attackers in this case apparently found a way to forge these authentication cookies, which would have granted them to access targeted accounts without needing to supply the account’s password. In addition, a forged cookie could have allowed the attackers to remain logged into the hacked accounts for weeks or indefinitely. Yahoo’s statement said the company is in the process of notifying the affected account holders, and that it has invalidated the forged cookies. “We have connected some of this activity to the same state-sponsored actor believed to be responsible for the data theft the company disclosed on September 22, 2016,” Lord said. Yahoo says users should change their passwords and security questions and answers for any other accounts on which they used the same or similar information used for their Yahoo account. The company is asking users to review their accounts for suspicious activity, and to consider using Yahoo Account Key, a simple authentication tool that eliminates the need to use a password on Yahoo altogether. For years I have been urging friends and family to migrate off of Yahoo email, mainly because the company appeared to fall far behind its peers in blocking spam and other email-based attacks. But also because of pseudo-security features (like secret questions) that tend to end up weakening the security of accounts. I stand by that recommendation. Most importantly, if you are reusing your Yahoo password anywhere else, now is a great time to change those passwords. And remember, never reuse your email password (or any other password tied to an account that holds sensitive data about you) at any other site.